Flip Out Mama: Identity Theft: Something That Nobody Needs. The following is a sponsored post brought to you by your friends at Identity Hawk. Okay, so the picture is funny, but the topic is not. Identity theft is a serious problem. Most people, if it hasn't happened to them, at least know someone who has been affected by this. Especially in today's economy, it seems that people will go to greater and greater lengths to get away anything that they think could make them some money. It really is crazy! Our family doesn't have great credit, but I can't imagine how badly we would be affected if our identities were stolen. We would be even worse off than we already are! I know that our family is like most right now, scraping by and making ends meet the best ways that we can. Sticking to a budget is absolutely crucial to our family staying on track, keeping the lights on and food on the table. The unexpected expenses associated with identity theft would hurt us a lot! A great company that can help with Identity Protection is Identity Hawk. 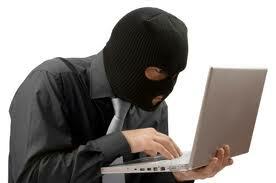 If you are not sure what identity theft protection really means, let me tell you a little bit about what they do. You provide your information and Identity Hawk gives you a Health Score, letting you know how at risk you are for Identity Theft. They monitor the internet for any signs of fraud and alert you if they find anything fishy. They also offer $1,000,000 zero liability identity theft insurance! Now, that can help provide peace of mind! I can't imagine ever having to deal with Identity Theft! I can't wait to talk to the folks at Identity Hawk so I can take one more worry off my plate!